Art workshops are probably one of the most popular activities during the Day of the Dead Community Celebration in San Rafael. This is a great project for kids of all ages, and for local artists, art groups and Youth members such as Local Artists Zoe Harris, The Bay Area Discovery Museum, The Catholic Charities Kids Club, Dominican University, and the National Park Service. 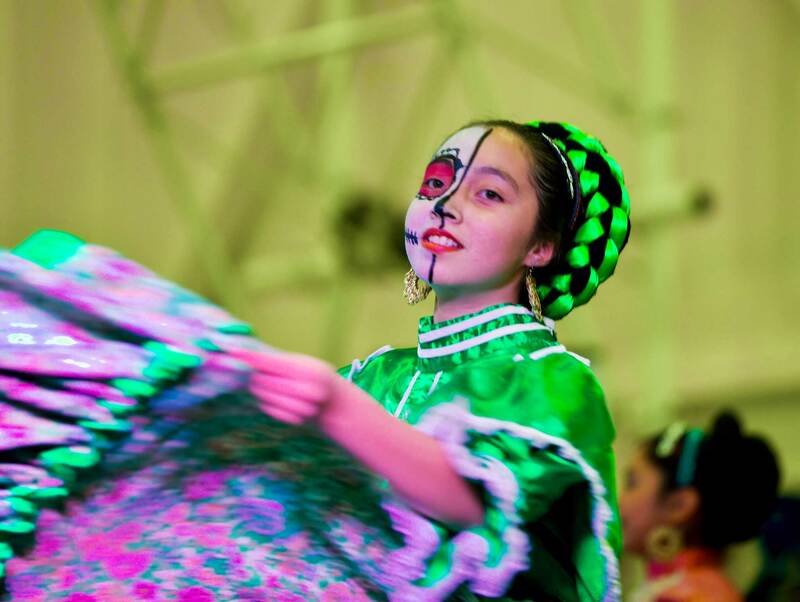 Participants will learn about the Day of the Dead history, culture and traditional celebrations with friends & family. Parents are encouraged to participate with their kids during this year’s art workshops. 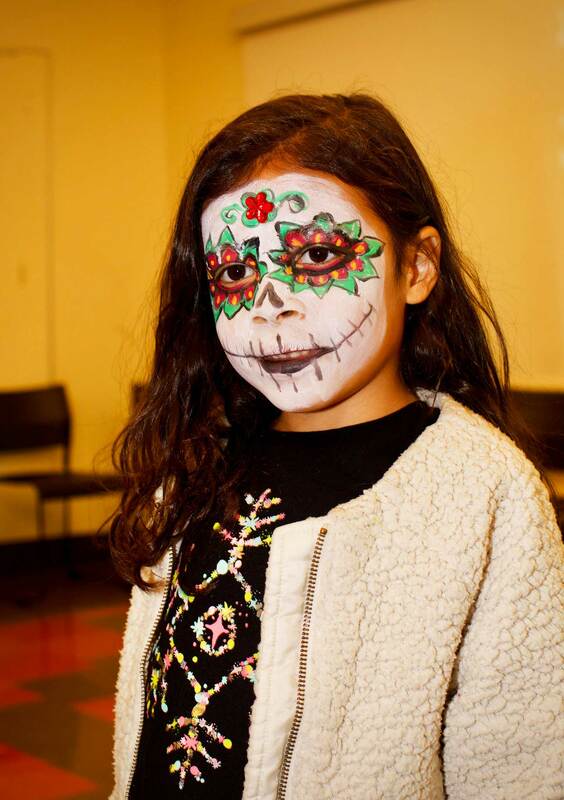 The most common design for Dia de los Muertos (day of the dead), is painting the face to resemble a skull. For people not familiar with Latin American culture and the celebration of the day of the dead, this might seem strange and even scary. However, the skull has a uniquely positive meaning in Dia de los Muertos, very different from the skeletons and ghosts of Halloween. People in Mexico wear traditional skull masks, and the tradition of painting faces to look like a skull has grown up as a variation to this. The wearing of masks has been a powerful symbol throughout traditional cultures, of the ability of humans to get in touch with their darker, chaotic side. 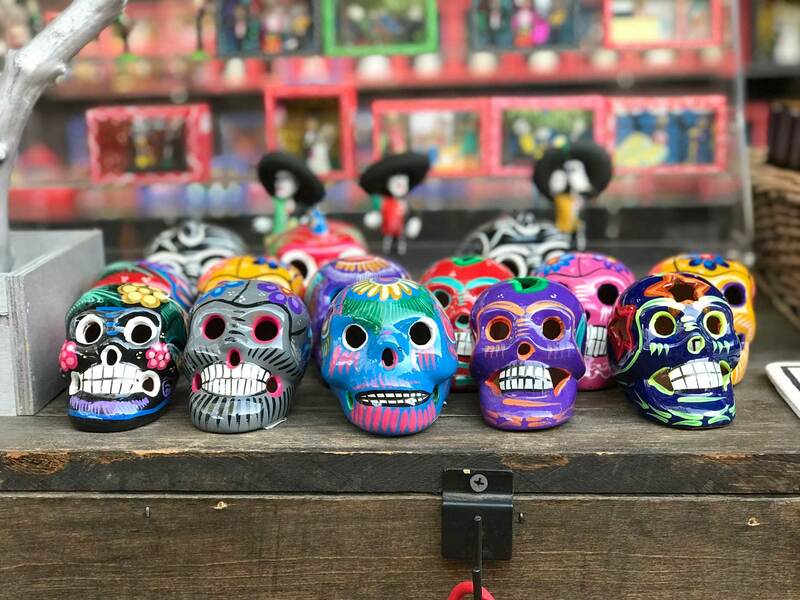 Face-painting as skulls is a chance to overcome fear of death, act recklessly and get up to the mischief that is forbidden at other times of the year! The ancient indigenous tradition of marching as a community to ancestral burial sites honors those who have gone before us. During the last 27 years, the procession has been an important part of the Day of the dead (dia de los muertos) celebration in the Canal neighborhood of San Rafael.The procession includes drumming and dancing of Aztec and Mayan civilizations, display of big skeletons or “calacas”, people wearing traditional costumes, masks or face painting in honor of their loved ones. The procession opens at 6:00PM meeting at the main lobby of the Albert J Boro Community Center.